This document has been prepared to support the submitted planning application. It aims to outline the strategic approach and key factors influencing the proposed design for the expansion and alteration of Poppleton Methodist Church on The Green, Upper Poppleton, York. This is the original submission. Some small changes were made to the plans as a result of requests by the planning department. 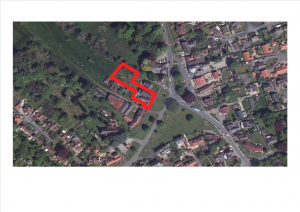 The applicant for the site is Poppleton Methodist Church. The proposal has been designed to rejuvenate a critically important church building on The Green that respects the churches history and surrounding context and provides a centre to meet the needs of the community in accordance with current policy standards. This document demonstrates the evolution of the proposals and provides an overview of design solutions and strategies that have informed the proposed scheme. In addition, the most recent and key planning policy documents have been considered in relation to the design of the scheme.